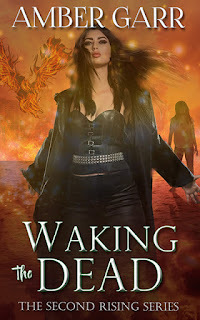 Summary from Goodreads: Joclyn Despain has been marred by a brand on her skin. She doesn't know why the mark appeared on her neck, but she doesn't want anyone to see it, including her best friend Ryland, who knows everything else about her. The scar is the reason she hides herself behind baggy clothes, and won't let the idea of kissing Ryland enter her mind, no matter how much she wants to. The Review: A mysterious scar, an estranged father, and ruby necklace. At first, Joclyn seems like a typical teenage girl dealing with the typical teenage drama. She's in love with her best friend whether she knows it or not, and now she's got a power inside of her she doesn't understand. 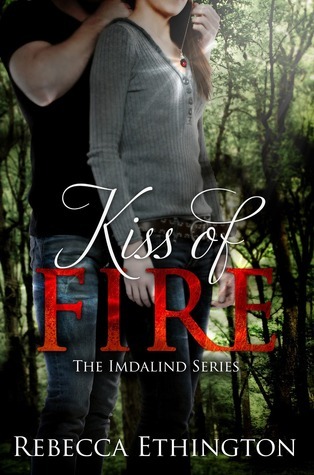 Kiss of Fire held my attention from start to finish due to the character development and supernatural elements. While I liked the idea of Czech folklore, the vocabulary got to be a bit much at times and I'm not sure how I feel about Ilyan (or his name). I smell a love triangle brewing and it may just break my heart. Ryland is great and the ending will certainly make me pick up the next book just to see what happens to him. I hope to see Jocelyn get control of her power and learn more about this mysterious world of gifted humans/witches/sorcerers or whatever they are. The Good: Interesting plot and characters and great relationship between Jocelyn and Ryland. The Issue: The beginning was a bit slow for me. Things really picked up the last half (third) of the book. Plus...I would like to know what Imdalind means. The Rating: 4 conch. A fun read with a cliffhanger leaving you wanting more.